HELLA is a global, family-owned company listed on the stock exchange that employs some 38,000 members of staff at over 125 locations in some 35 countries. 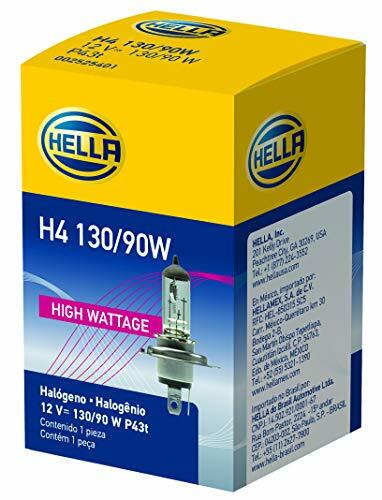 The HELLA Group develops and manufactures lighting and electronic components and systems for the automotive industry, and also has one of the largest trade organizations for automotive parts, accessories, diagnosis and services within Europe. With almost 7,000 people working in research and development, HELLA is one of the most important innovation drivers on the market. HELLA has achieved sales of around 7 billion Euros in fiscal year 2017/2018. In addition, the HELLA Group is one of the top 40 automotive parts suppliers in the world and one of the 100 largest German industrial companies. Integrating security, reliability and precision workmanship HELLA is a tradition that continues for more than 100 years ago. HELLA is a reliable partner you can trust! Please read your vehicle manufacture’s manual when replacing a bulb and follow the instructions.